In 2010 oil in great quantities was found under Syria. Off the Syrian coast, 14 new fields with a total recoverable volume of 37 billion tons of oil were discovered. To show the scale of this, the proven reserves of Saudi Arabia amounted to about 36 billion, Iraq has 15.7 billion tons, Kuwait has 4.28 billion tons and the UAE, 14 billion tons. Even more, the depth of these fields is about 250 meters. This is very shallow and means that the cost of extraction will be very low. But that's not all. The depth of the discovered fields is approximately 250 meters. Less than a year after this discovery, the “spontaneous” protests against Assad broke out (Minin, 2013). It is also significant that the conflict broke out simultaneously with the signing of the Bushehr memorandum in June 25 of 2011. This created the Iran-Iraq-Syria gas pipeline. This would be a major source of European gas. This would remove Turkey from the supply line and would profit Assad's government handsomely. 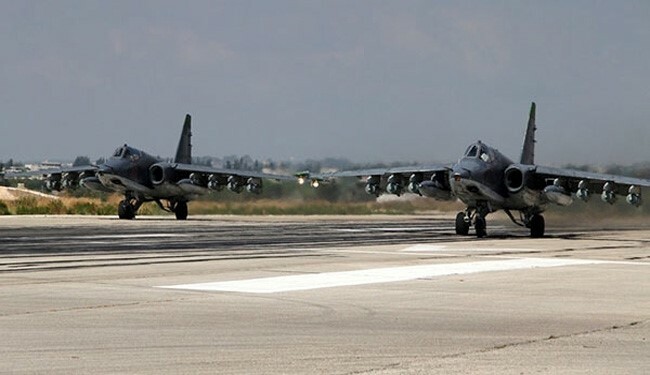 A high-ranking commander of the Russian Air Force said that Russia no longer would use the U.S. GPS system in the bombing of terrorist positions in Syria because of intentional obstacles and false information that the American system provides (Ertur, 2015). As soon as ISIS positions were decimated, Senator John McCain demanded war on Russia by advocating shooting down Russian jets. Turkey sought to start war by claiming, irrelevantly, that Russian fighters invaded its airspace. Media attacks in the west became so hysterical that FOX news claimed that “Russians are trying to take over the world.” Israel is deliberately interfering with Russian operations. ISIS is now largely a memory. Needless to say, ISIS, out in the open, could have been attacked by Israel or the west at any time. Russian strikes on this CIA-financed group have predictably led to nothing but condemnations from the Zio-hawks in Washington. Russia and its allies are the single and sole enemy of the USA. Given the disastrous analysis of the conflict in English, some basics should be laid out. There are generally five sides in this conflict: First, government troops, a closely allied Alawite militia and the Lebanese Shiite group “Hezbollah. ” Second, the Kurds in the north sandwiched between Turkey and the Islamists. Third, tribal opposition that normally does not leave its ethnic base. Fourth, more radical Sunni groups and finally, the Islamic State. The initial defeats of Assad's forces were based on intelligence and equipment supplied by the West. By far, Assad is the most popular and the largest. Recently, the fall of Aleppo has sealed his victory in the war, but his forces suffered shortages of fuel. ISIS as a western front is shown by the fact that it was sent to capture the oil fields and under no circumstances to ever harm Israel. Assad has never been able to focus his forces in one direction. The southern front is largely held by Iranian-backed Hezbollah forces and a substantial number of state forces. The northwest up until recently has been pure chaos, as Kurds, the state, ISIL and others have fought each other. Finally, the northern part, largely held by the western backed-ISIS group with men coming from Iraq where trillions of US dollars were spent trying to “liberate.” The claim that there are “Iraqi” weapons caches is exaggerated. These are long exhausted. The Turks are an important beneficiary from this war. ISIL has opened a northern channel for oil to flow to Turkey. This is yet another proof of the US-NATO connection with ISIS. The Gulf monarchies are served by the disruption of Syrian-Iranian ties and the gas project sealed between the two before the violence began. The US is refusing to assist Russia in fighting this terror group and is condemning Russia at each step. This is proof, yet again, that ISIS and the west are closely allied and the American media, yet again, are 100% wrong. The US will not disclose the position of ISIS, oddly suggesting that the US knows where they have been all along and have done nothing. So why Syria? First, since she is now an energy hub, it automatically comes under the American “sphere of interest.” It serves Israel's interest by destroying yet another nation soon to make the jump to first world status. It is also a means, thirdly, to contain Iran, thereby satisfying Israel and the Gulf states. It is also a means to attempt to bring the permanently stagnant and moribund American economy into some kind of recovery and forestall any domestic rebellion. It is also important to note that the destabilization of nations is a means to expropriate their capital in order to service the massive debt of the “advanced democracies” of the west. Fighting the Chinese alliance with both Russia and Iran through Syria is of immense importance. The Saudis and their allies agreed to make all oil transactions in dollars in exchange for weapons and support. Shortly before the beginning of the “Arab Spring,” Syria and Iran signed an agreement on the construction of The “Islamic Pipeline” with a capacity of 110 million cubic meters of gas per day. The agreement was a counterweight to the Nabucco pipeline which was designed to bypass the pro-Russian states and benefit Turkey, sending gas into Europe through Azerbaijan and Turkmenistan (Minin, 2013). In September 2010, Syria and Iraq signed a memorandum on the construction of three pipelines of different grades relative to the light or heavy forms of crude oil. In early 2011, Bashar al-Assad created the idea of the trade association of Syria, Turkey, Iran and Azerbaijan in oil and gas transportation in a single system with access to the Mediterranean Sea. This was discussed with the leadership of Turkey, Iran and Russia and would have facilitated Turkey's exit from NATO. Assad's economic success – or that of the Ba'ath regime more generally – is impressive. When the western debt bubble burst leading to even more bankruptcies and expropriations, the economic situation in Syria remained stable. So, at the end of 2010, the main national macroeconomic indicators looked very good against the backdrop of the global average. The World Bank estimates that the growth of the Syrian economy in 2010 was about 4.5% while the country's foreign exchange reserves amounted to 17.7 billion dollars. Syria had a slight negative trade balance as exports amounted to $11.9 billion with imports slightly lower at $13.9 billion. The rate of inflation, according to official figures, at the end of 2010 did not exceed 3%. The Syrian government managed to keep the deficit-free state budget and kept unemployment low at about 8.5%. The US, if the proper figures are used, presently has an unemployment rate of well over 20%. Michael Oren, Israeli ambassador to the US, stated in 2013 “The greatest danger to Israel is by the strategic arc that extends from Tehran, to Damascus to Beirut. And we saw the Assad regime as the keystone in that arc.” No American interest is at stake in the Middle East. Only its ludicrous support for Israel makes the US hated. Israel is the most disastrous foreign policy adventure in American history, since nearly all US involvement in the region has to do with defending the Jews. The US is almost entirely self sufficient in energy, but the Israeli lobby uses this as a smokescreen to justify US involvement on its behalf. The US has created and used Islamic terror from Chechnya to Kosovo to Syria. They are not opponents. “Terrorism” is the creation of Washington and the US media that can destabilize the middle east. To make Iraq into three tiny regions automatically means they will be utterly under US-Saudi control. Over and over the US has been caught red-handed backing ISIS with weapons. At the same time, the US has been destroying Syria's infrastructure, acting identically to the terrorists it finances. Only the intervention of Russia stopped the very real possibility of genocide once basic services such as clean water were destroyed. Hillary Clinton has described already the meeting in the White House over 2 years ago, everyone in the National Security Team recommended arming ISIS, and the President, by himself turned it down, just like by himself, he decided not to strike Syria after he said that they’d crossed the red line (September 16 2014, FOX News). In the same interview, McCain fully admits to having regular contact with Daesh. The result of course, is that the entire “terrorist” idea, the war on it and American foreign policy has been completely concocted by the American press in union with American intelligence agencies. The American population knows literally nothing about the nature of their government. The ISIS farce is just one of the absurdities to come out of the fetid soil of this abomination. Just a quick glance of video from this Hollywood outfit shows the absurdity: black pajamas in the desert, organizing and training in the open, threatening all Americans and having unlimited cash in an era where any even remotely anti-American political figure has all assets frozen are just the beginning of this fraud. After decades in this region, there is not a local campaign for meter maid that is not deeply penetrated by CIA, MI6 or Mossad. The cynicism, covert agendas and the immeasurable ignorance of Syrian life are creating a cataclysmic war. The middle east in unstable in the best of times. To deliberately provoke further warfare, especially given the choice of “leaders” involved, guarantees a social and economic meltdown that will benefit nobody. In Iraq, Syria and Libya, the American encouragement of war derailed an impressive surge in economic development, a program of liberal reform and the slow inclusion of opposition groups into the ruling coalition. Instead, warfare destroyed what took decades to build, and,with it, the possibility for stability and peace. The use of “ISIS” (the perfect “bad guy” name straight out of James Bond) to threaten both the left (homosexuals and feminists) and the right (anti-Americanism and anti-Zionism) is so cynical that it shows how low the American population has fallen intellectually. While a paper on this topic can hardly avoid mentioning this non-existent creation of the Hollywood mass mind, it is so blatantly absurd – almost mocking – that it does not deserve any really detailed treatment. They are almost the result of psychological tension crated by mass media imagery. They fill every mindless stereotype of the “bad guy” organization that one can see in the fictitious groups SPECTRE, SMERSH, Janus Syndicate, BAST, OCTOPUS or TAROT in the entertainment universe of the alienated, fragmented and paralyzed west. In Archer, the “bad guy” group is called I.S.I.S. GI Joe has COBRA, Spongebob has EVIL, Stingray had WASP and Robocop had DARC. ISIS is so obviously a Hollywood production that the Regime simply does not need to try anymore. Why these Hollywood “terror cells” refuse to attack Jewish targets such as Hollywood parties or Goldman-Sachs is anyone's guess, but the only conclusion can be that these groups are created in the west. They are creations of private capital to keep the US involved in a war long lost. It is not merely that the war is lost, or that there is no money: its also that the US is not a nation and has no will. It is a multicultural disaster with not the slightest unity or purpose outside of acting as a breeding ground for monsters. Recently, a leaked Department of State and Defense paper (Document 12-812, cf pp 287-293) shows what any cursory glance at the history of the area can reveal: that ISIS is the direct creation of the US to do battle against Syria and the Ba'ath party. Its not “Islam” that is being targeted (just as it was never “Marxism” targeted in the Cold War) but a strong, nationalist state striving for autonomous development. Regardless, Washington's policy of uninvited intervention has created a Syria-Russia-Iran-China axis that the US and Israel cannot hope to defeat. In the meantime, the body count increases and the chances for any stable democracy in the region has evaporated. The Syrian conflict need not have become a regional conflagration, but the combination of foreign mercenaries, western intervention, Saudi cynicism and the inherent instability of the region have ensured just that. This writer stated a year ago that the ISIS idea was almost designed to make no sense. No Islamic or Arabic cause is helped by the insane rhetoric and videotaped killings. No terror group in history has ever behaved like this. None have videotaped their operations or functioned totally out in the open. Americans were told a year ago that their income comes from their control over some Iraqi oil fields. That makes less sense than wearing black in the desert. How can this be sold? Every bank account in the area is under surveillance. This is especially the case for any former Ba'ath official. They apparently have a fleet of tankers the Russians just destroyed. A tanker fleet? Lying around? The videos and pictures of the “beheadings” first of all do not serve the cause of their movement. No group like this would deliberately destroy a chance to reach the hearts and minds of the population of their enemy. In fact, turning the population against the imperial state is a long-time terror tactic. The photoshop technology seems deliberately poor. The mass beheadings of the Copts is very poorly done. Turning the sea “red” is a common local threat and the means whereby this is done is not possible. The color is wrong. “Jihad Joe” is out of proportion to the sea and his head is far too large for his body. As is well known, the killers in the film have proportions that would make them over seven feet tall relative to the sea and the surroundings. The “burning” of the Jordanian pilot is equally absurd. The ISIS men who walked him to the cage look nothing like the ones looking on when the fire was lit. Worse, the background is totally different and clearly shot in two very different locations. Even in the beheading of James Foley, his “sister” was actually “crisis actress” Alex Israel. The pilot is perfectly clean and looks like he just got dressed. The Jordanian media said he was killed two weeks before. Some of these facts are well known. At the same time, it is unlikely that this clearly wealthy group has made such a poor video. It was likely made deliberately poor and easily detectable by forensic companies specializing in detecting fraud. Since ISIS operates a huge army undetected and has endless money, to put a video like this together can only be a trick, a way to make a fool out of their viewers. One does not need a film and video forensics team to see the poor quality of these videos. Of course, “ISIS” had nothing to do with it, as it was made in the US by Rita Katz, a fact surprisingly well known. This group outsmarted the world's intelligence services. Every significant Islamic group in the world rejects them and unanimously says they are “CIA.” They publish a sleek magazine in perfect English. Their constant attacks on tiny, marginal Christian groups is laughable. Do the Assyrian Monophysite Christian Church of Iraq threaten Islam? Do the Copts? Muslims and Copts have lived side by side for centuries. Suddenly this Iraqi group from out of nowhere wants them all dead? To what end? Before Russia quickly destroyed this group, the US clearly knew every move of ISIS yet never took action. All financial transactions were watched and recorded, since nothing goes in or out of the area that is not so observed. Their weapons are standardized, always operable and fairly new. The have had no ammunition shortages. Russia, Iran, Hezbollah and Syria itself have been strengthened against the US-Islamist-Saudi alliance. The chief of the U.S. Central Command General Lloyd Austin admitted the “moderate reel” nonsense is a total failure, after $500 million has been spent. Israel bit the bullet and has sought cooperation while the US has made its support for ISIS so blatant it is no longer debatable. The advent of Iranian and Chinese fighters quickly forced the State Department to call for negotiations. It is likely that it is only to weaken Iran and seek another “color revolution” as the 2013 version failed. The Mujahedeen e-Khalq operating inside Iran was housed and trained at a US base in Iraq. As this group, known as MEK, assassinates Israeli-approved targets inside Iran, it has the open support of Sen Joseph Lieberman of CT.
At the same time, the lies they propagated at the beginning of the events in Syria, in order to promote their positions to their audiences, have started to unravel. You cannot continue to lie to your people for years. You might do that for a limited period of time. Today, as a result of technological advances in the field of information, every citizen in every part of the world could know part of the truth. These parts have started to come together in the minds of their people, and they have found out that their governments have been lying to them concerning what has happened in Syria. They have also paid the price either through terrorist operations, the terrorism that started to affect those countries or through the waves of migrants coming to their countries, not only from Syria, but from different countries in the Middle East. All these factors started to effect a change, but I would like to stress once more that we cannot trust Western positions regardless of whether they were positive or negative (from CRG, 2015). This is important given how obvious the American lies have become. The US has condemned the attacks on ISIS. They speak of “moderate rebels” yet admit they do not exist. They condemn Russia even when it is clear ISIS is being destroyed, and on and on. That the US is ISIS has the potential to destroy the entire smoke and mirrors propaganda machine. Just as all Russian elections are condemned for fraud before they actually occur, US media claims of civilian deaths from Russian bombs were written before any bomb dropped on ISIS. Russia knows where ISIS is and destroyed their infrastructure in a week. The US knew as well. How long before the average American can put 2 and 2 together? The U.S. claims that its direct interference in Syria nearly five years ago was prompted by the defense of a “democratic” uprising against the “dictatorial” rule of the Assad government. Irrefutable evidence shows, however, that plans of regime change in Syria (and elsewhere in the region) had been drawn much earlier. Look at the facts. Firstly, radical Islamism originated in the era of the cold war as a weapon of the United States. Secondly, this is a serious terrorist network can only exist with strong structural support of the security services, which are supervised by terrorists and used for its purpose. The only organized as a secret service CIA and the CIA only. Both the economic and military might of the United States is not comparable with other countries, such as autocracy is taking place among the security services. It is an axiom. And another point: that developed in the bowels of the Central Intelligence Agency, the extent to which the Islamists are now independent of their creators, one can only guess. We only know that Bin Laden was a month before the attacks in New York was seen in Kuwait with its curator of the CIA, and the message it has passed a number of news. . . . Terrorism has become an instrument of the United States, through which they will keep the rest of civilization is under control. Even an amateur follower of events in the Mideast has to realize that nothing can be done in that part of the world of any size without the permission of the west. The sheer scale of this ISIS absurdity still did not earn raised eyebrows among the endlessly circulated “experts on everything” making the rounds of the allegedly competing media giants. When the “ISIS” farce first hit the American TV screens a few years ago, no major commentator asked any substantial questions. Now, that is fairly normal, both because they do not have the ability and certainly have no incentive. The “rise of ISIS” made so little sense that it was almost as if the Regime was deliberately gauging the inability of Americans to react. As 2015 draws to a close, almost all Americans are aware that ISIS did not spring from nowhere. The cover stories are almost deliberately facile. Wen Russia began targeting terrorist positions in Syria, the US government immediately condemned this, although claiming that ISIS was their primary threat. Struggling to avoid western censure, the Syrian parliament adopted strict election guidelines giving all candidates equal media exposure, something that, of course, does not exist in the US. More than 400 reporters worldwide were granted access to Syria at the time and no hindrance on their movement was reported. Three candidates ran for office. The west merely repeated the same stock phrases whenever a president they hate is reelected. Most of these press releases were issued before the elections took place and John Kerry's reference to the elections as a “farce” was uttered a full month in advance. Jordan, Egypt and the UAE all overtly discouraged Syrians from voting, knowing full well they were Assad supporters. John Kerry pledged to “double” the US support for Assad's opposition in the next election, since the right man didn't win. Sharmine Narwani was forced to admit the legitimacy of Assad's popularity in a New York Times piece of February 2 2012, precisely as this tragedy began. The events of November 25 2015 have changed the contours of these concerns. This might be a quantitative change only. The destruction of a Russian tactical bomber by Turkish/NATO forces was a deliberate provocation. A quick look at the satellite footage ill show the jet was not in Turkish airspace. If it were, the problems with this are few, especially if Turkey is not the main supplier of “ISIS.” Of course, they are, hence, they have de facto declared war on the Russian Federation. Immediately running to NATO, the hastily convened meeting gave rhetorical support to Ankara, but it is highly unlikely it will go beyond that. These events, and the criminal murder of the one pilot, show of course, that Turkey is working to destabilize Syria and is behind much of the ability of ISIS to sell oil and to act as a regular army in almost all respects. This meas NATO is culpable. NATO is also bankrupt (financially and ideologically) and has little to fight for. These revelations show in stark terms that the “war on terror” was and is a fraud. The Turkish Prime Minister has charted an erratic course for himself geopolitically. Just three years ago he was quite enthusiastic about joining the SCO and building a new missile defense system with China. The prospect of expending Turkey into Syria, plus the threat of another “color revolution,” brought this opportunist to support the oil companies' drive to rid the Arab world of strong nationalist leaders. NATO and the economic elites that finance it have no choice, at least morally speaking, but to take responsibility for the war they fostered and continue to inflame. There is no way now that any even partly rational person can believe that the mainstream narrative about the war in Syria is remotely true. Media of course struggles – in very unfamiliar territory – to keep this from occurring, and the major networks' total ignorance of the region, its ideologies and Russian goals is at least entertaining. The ultimate reality is that western “democracies” are oligarchies. This means that politicians have little power and serve more or less to take the blame when something goes wrong. That President Obama is being credited with falling gas prices in the US shows the extent of that fetish. The Eurasian east is another matter, where, at least for the moment, the state has levers to use against the economic tycoons and as a result, politicians can shape policy according to their mandate, ideology or the common good. The lack of understanding of this fundamental distinction means most academic and journalistic treatments of the era are useless and will continue to be so for the near future.